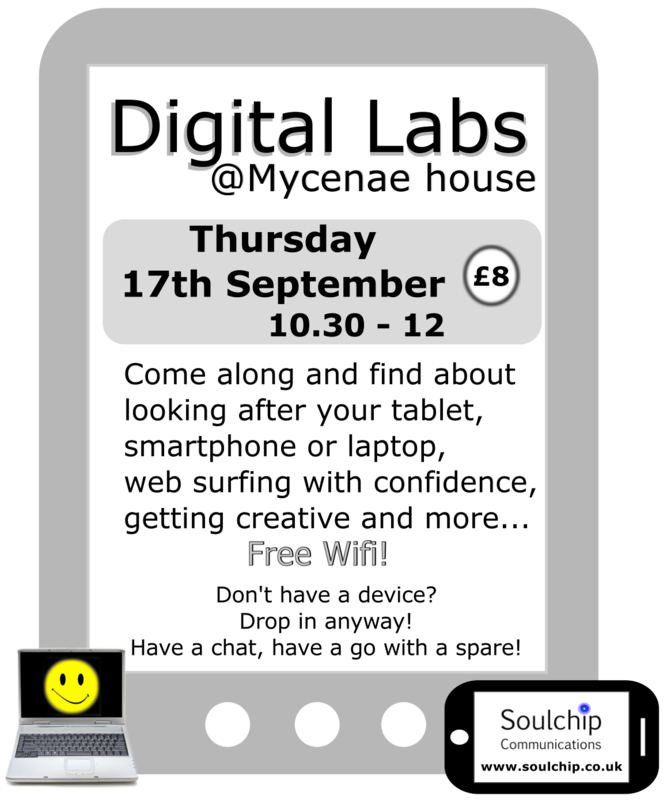 If you didn’t know, I’ve been putting together occasional Digital Labs at Mycenae House in Blackheath SE3 (link to directions), as a ‘club’ for people wanting a helping hand to tame their digital device (if you’re thinking digital beast you need to come along). The session costs £8, and does involve you filling out a form to find out what you want to accomplish.There is no guarantee that problems can be resolved in the session, but I aim to get people educated, aware, and with a plan of action! The room is on the ground floor of the building, and all are welcome; if you are visually impaired and use a screen reader please bring a headset, thanks. One more thing…please tell your friends and family, forward the web address to anyone you think might be interested.